RockFire is back for our 8th annual event with more fire, festivities and fun. Bow Thayer will be headlining, as well as The Iron Guild dazzling us with their molten metal performance. There’s something new to see every year, and 2019 won’t disappoint. Thanks to Eva Sollberger and Seven Days for their 2014 story! 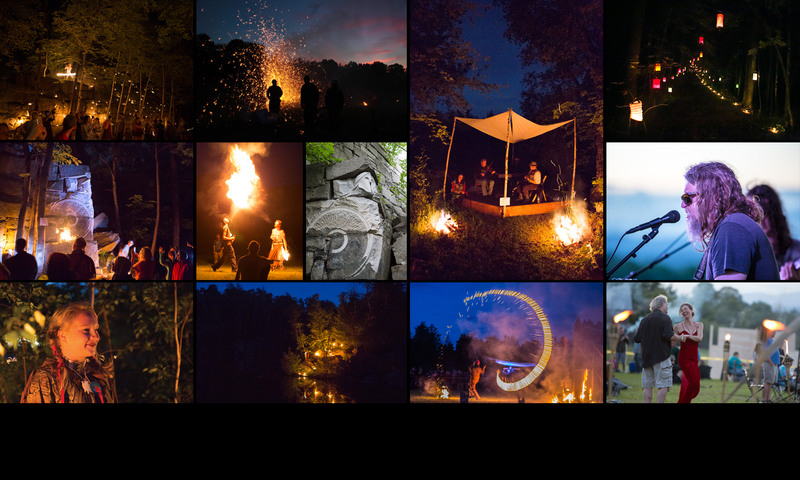 Thanks to all who attended our 7th annual RockFire event on June 28-29, 2018. Guests enjoyed a Bobby Watt concert paired with tasty foods, beautifully hot weather, and a world-class sunset. Fire performers delighted the audience with their twirling, spinning, and even eating fire. Centrally located in the heart of Vermont, less than an hour from the Green Mountain State’s major attractions, Millstone Hill is an easy distance from Boston, New York, or Montreal. From I-89 North, take Exit 6 (South Barre/Barre Route 14) and follow the access road approx 3 miles. At the traffic light at the bottom of the hill go through the intersection and straight up the hill (Middle Rd.) for 1 mile. At the first intersection turn left onto Graniteville Rd. (at Rock of Ages). After one mile turn right onto Websterville Rd. A little after one mile you will see a huge granite quarry on your right and a left hand turn taking you to Rt. 302/ Rt. 110. To get to The Lodge: Continue 200 feet up the hill beyond this intersection to the next intersection, then bear left onto Littlejohn Rd., going between the two yellow houses. The Lodge will be about a half mile up the road on the left.